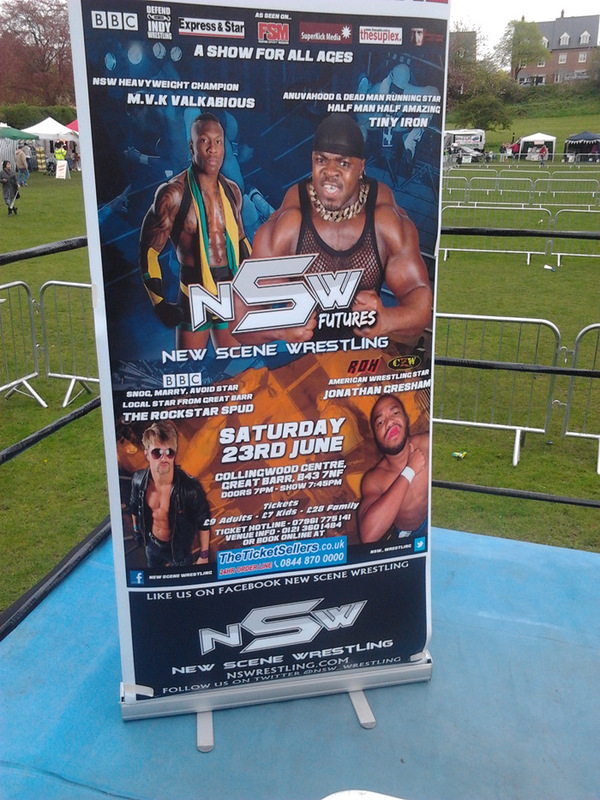 SuperKick Media was proud to be asked by New Scene Wrestling, currently one of the hottest pro wrestling promotions in the UK, to supply a range of promotional artwork for their upcoming events. In addition to event posters, we supplied supplementary announcement artwork highlighting upcoming matches, to be used on social networking sites such as Facebook and Twitter, as well as souvenir style ticket stub designs. 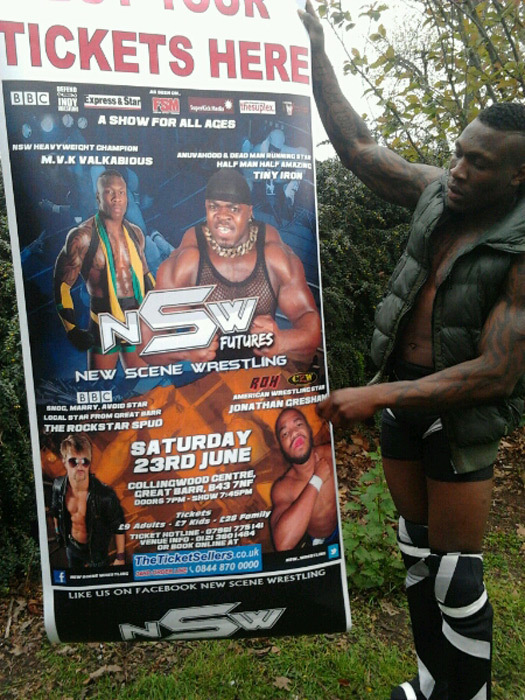 Seen below is the poster we designed for their June show entitled “NSW Futures” featuring WWE’s latest signing, MVK Valkabious, as well as Dead Man Running/Anuvahood star and owner of the largest biceps in Britain, Tiny Iron. Also set to appear is the fantastic Rockstar Spud and CZW’s Jonathan Gresham. “NSW Futures” is Saturday 23rd June at the Collingwood Centre, Great Barr, B43 7NF. Tickets are available online from theticketsellers.co.uk – just £9 for adults, £7 for kids and a family is £28. Need help? SuperKick offer a range of promotional support services, from design work to video production.